You do not want to miss this event. There are games to play and treats to eat! You can catch a ball or catch up with old friends and make new ones, because, let’s face it, most of you have never met another dog that wasn’t your immediate friend, right! Bring your people (big & small) and your canine siblings, even if they’re not Goldens. We would LOVE to see as many of our adopted Goldens and their families as possible!! Stay tuned to our website for details as the date gets closer! Expect an awsome time, rain or shine. AND, don’t forget, it is the annual roll-out of our new CALENDAR!! Bring $10 for each calendar you would like to purchase. We will have plenty. Think ahead for Christmas gifts and stocking stuffers! It’s that time again! BISSELL Pet Foundation is giving homeless pets Hope for the Holidays! Click over to their page, like ’em, and comment on their post daily for your chance to win a BOLT ION Pet vacuum AND help our Goldens. The contest continues through the 19th with new giveaways every day! Did you know that 72% of BISSELL Associates own pets compared to the national average of 60-65%? 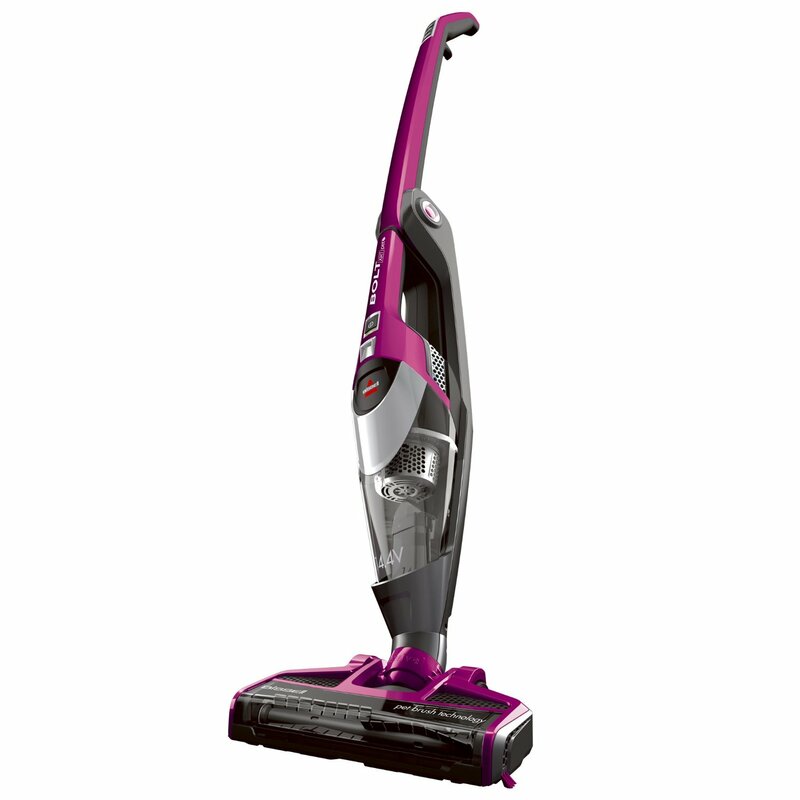 How many pets have you adopted into your home?Like the BISSELL Pet Foundation Facebook page & comment on its post with your answer by 11:59 p.m. EST today to WIN a BISSELL® BOLT™ ION PET 2-in-1 Lightweight Cordless Vacuum and the gift of cleaning on the go! 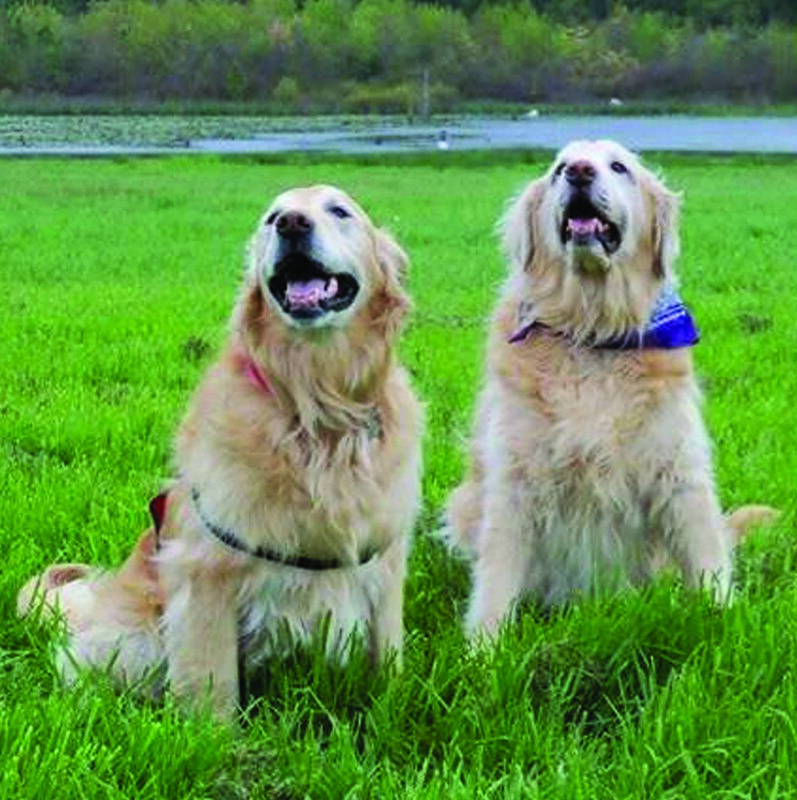 Join SEVA GRREAT goldens and their favorite people again this year….it’s part of Yorktown Market Days at Riverwalk Landing. The event runs from 8 am – 3 pm, featuring unique items for the holiday season, food, flowers, art, and holiday music. The parade should start around 1:30 pm and will feature the Yorktown Fife and Drum Club, Polar Express, and more. What could be more fun than sharing the Christmas spirit while helping our SEVA GRREAT Goldens spread word about the rescue and find their forever homes! Visit htttp://riverwa​lklanding.com for more information. 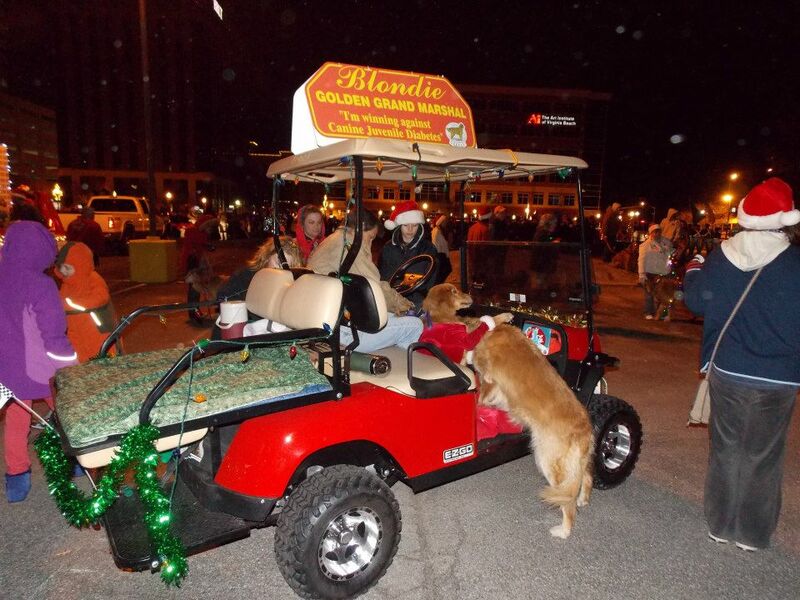 Virginia Beach Christmas Parade – Nov 22nd! Mark your calendars! Get digging in the attic to find your holiday finest! Round up those jingle bell collars! We’ve had a wonderful turnout the past few years, and know that everyone (humans and dogs) had an AMAZING experience. You won’t want to miss out on it this year!! 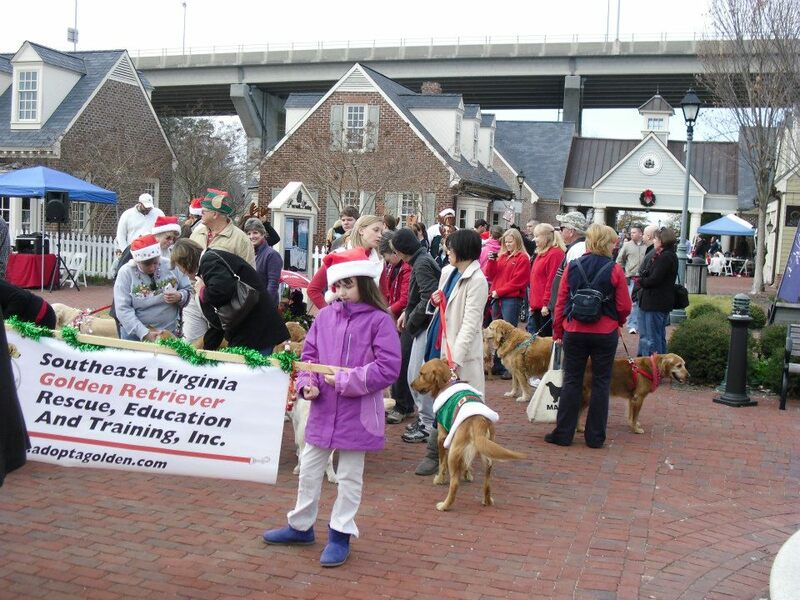 It’s time again to show off our SEVA GRREAT Goldens at the Light up the Town Parade in Virginia Beach. We’re stepping off promptly at 6:00 PM from a NEW LOCATION: Bank Street, between Independence Blvd and Market Street, and the adjacent parking lot. Because of the new building being constructed at Town Center, the parade route has changed some. Our Goldens and their people should be there NO LATER than 5:15 pm. 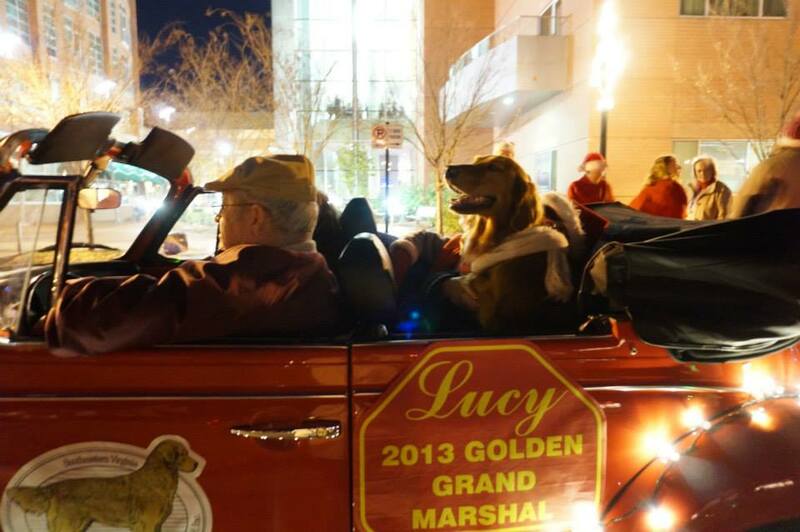 Parade participants are encouraged to park vehicles not participating in the parade in any of the free parking garages located around Town Center. 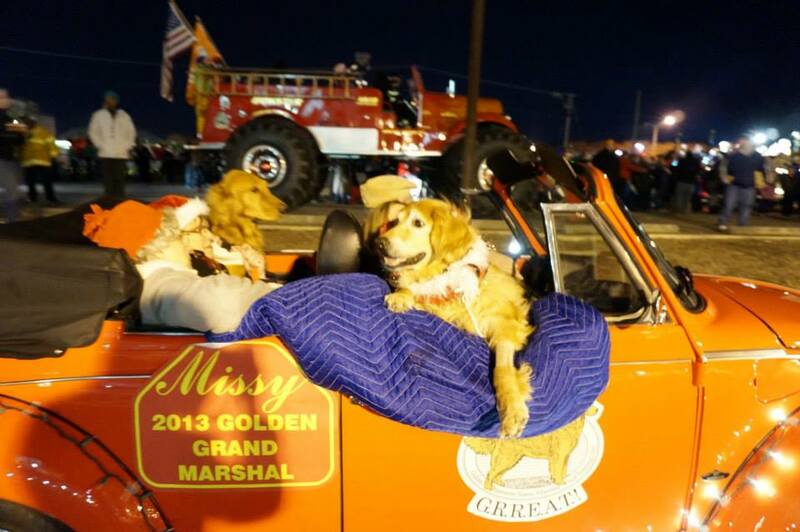 Our Goldens are always a highlight of the parade. We can’t wait to see you there to spread some Christmas cheer and awareness for SEVA GRREAT. Be sure to check your email and our Facebook page for any last minute updates!! 2014 Calendars Are Coming Soon!